We are a fully licensed, insured, and certified water damage restoration company serving Miami, Florida and surrounding communities. Founded by a longtime Florida resident, Robert E. Cote, we specialize in residential and commercial water damage restoration. Equipped with state-of-the art extraction and drying equipment and staffed by a team of water damage restoration professionals, we are well equipped to restoring your home or commercial property to its pre-flood condition and mitigate further damage. We are committed to drying out your water damaged property to the highest of standards. We offer emergency dry out services and are known for reliability and professionalism. We understand the traumatic nature of flooding as well as its destructive power. We work quickly and efficiently to completely dry out your property and return it to its pre-flood condition. 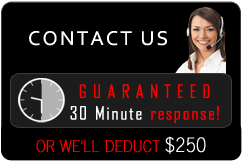 Contact us today for exceptional Miami water damage restoration service at an affordable price.